The modern home is filled to the brim with systems designed to maintain comfortable temperatures and keep unwanted contaminants out of the air, but homeowners often forget or simply ignore the impurities that may lurk in their water. Yet, water treatment is one of the easiest and most effective ways to keep you and your family safe from unwanted pathogens. However, choosing a good water treatment system isn’t always easy. There are many options on the market, ranging in size and quality and the level of their filtration and purification. So, if you’re interested in learning more about home water treatment or you need someone to install and maintain your system, call Bayonet Plumbing, Heating & Air Conditioning. 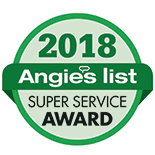 Our water quality experts install, maintain and repair water treatment systems in homes all over the Pasco County, FL area, and they have the knowledge and tools needed to make sure your system is operating as intended. Simply give us a call to schedule water treatment installation or service in Pasco County, FL and the surrounding area. We are so happy that we found Bayonet Plumbing and AC..the ultimate professionals! The first thing to consider is the type of water treatment system your home needs. Spending hundreds of dollars on multiple treatment systems would be a waste if the only issue your water supply had was hardness or acidity. On the flip side, if you only have a countertop filter in your kitchen, but your water has high levels of magnesium and iron and possible traces of arsenic, you need something much more powerful to thoroughly protect your family. To determine what type of water treatment system is needed in your home, your water should be tested. We provide complete water testing, including checks for pH balance, hardness, iron levels, lead, arsenic, nitrates and bacteria contaminants. The average person obviously doesn’t know what to test for but there are some signs you can watch for, including discoloration of your fixtures, a change in the smell or taste of your water, or an increase in residue in your shower or sinks. If any of these things happens, call us right away for full water supply testing. Once we determine what’s in your water, we can begin to review your water treatment system options. The simplest water filtration systems use charcoal to remove sediment and debris that build up in your pipes or supply. When the only thing in your water worth noting is a high level of iron, debris or sediment from underground pipes, a simple drinking filter may be plenty. However, if your water is hard or has a very low pH balance, it needs to be treated more thoroughly. Water softeners are often used in conjunction with a reverse osmosis treatment device to ensure salinity doesn’t start to build up in your drinking water – a dangerous development if you’re not careful. Reverse osmosis is the most effective and thorough water treatment system on the market and will remove almost all potential contaminants. In some cases, specialty cartridges may be necessary for things like nitrates and arsenic or sulfur. These cartridges are usually integrated into your current water filtration system but must be checked frequently and calibrated to your specific contaminant levels to avoid over treatment. When you’ve decided to install a water treatment system in your home, make sure to work with Bayonet Plumbing, Heating & Air Conditioning. Our Pasco County plumbers have years of experience and training, and will offer the highest quality of service. From finding the water treatment system that best suits your needs to providing installation services that are both efficient and effective, we’re there for you every step of the way. To book your water treatment system installation, call our team today! While we work with top–of–the–line equipment to ensure long–lasting results, water treatment systems do require regular maintenance in order to work at their best. We recommend scheduling regular cleaning and repairs when needed. To learn more, contact our Pasco County, FL plumbers today. If the taste or smell of your water is unappealing or you are worried about the impact something like hard water will have on your pipes, call Bayonet Plumbing, Heating & Air Conditioning. We provide effective water treatment testing and installation services to homeowners throughout the Pasco County, FL area. You can rest assured we will do everything in our power to keep your water safe and healthy for your family.